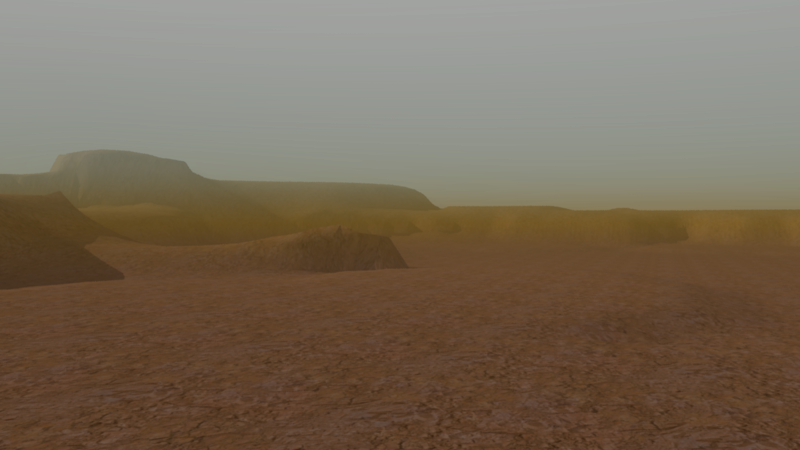 I’ve started to put together my environment. 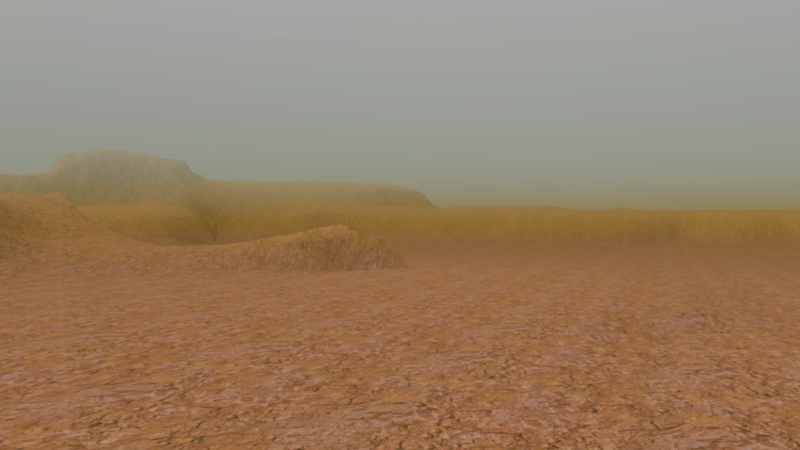 Similar to my test renders earlier, I’ve created a terrain mesh and included a texture. There is obvious repeating texture tiles but I’m not too concerned about this as any attempts to create a high quality texture complete with normal maps, etc. would take up too much of my time. It is not my area of expertise after all. 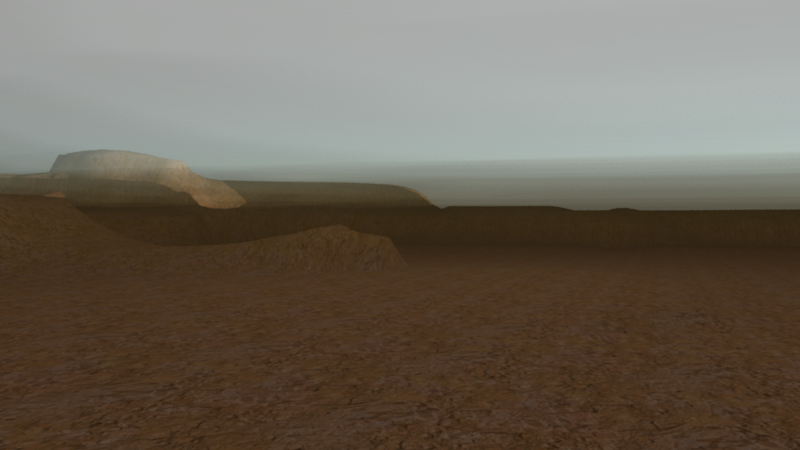 Using colour ramps its easy to add visible layers to the atmosphere. 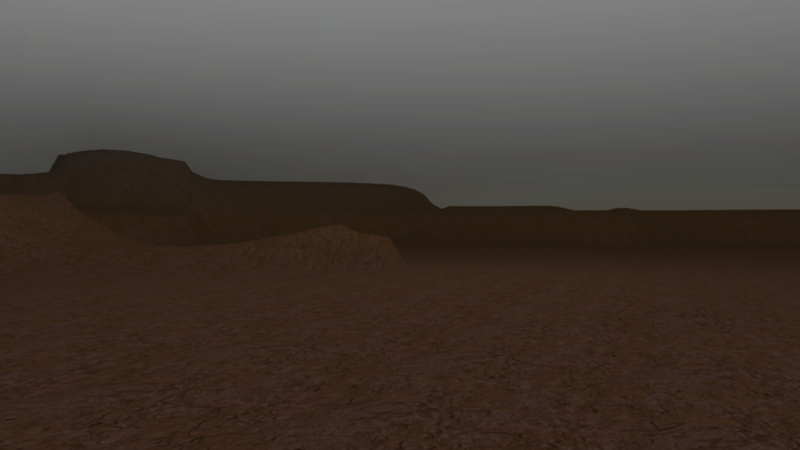 In the image above it doesn’t look too great but in the image below I used it to create a haze of dust that sits above the surface. 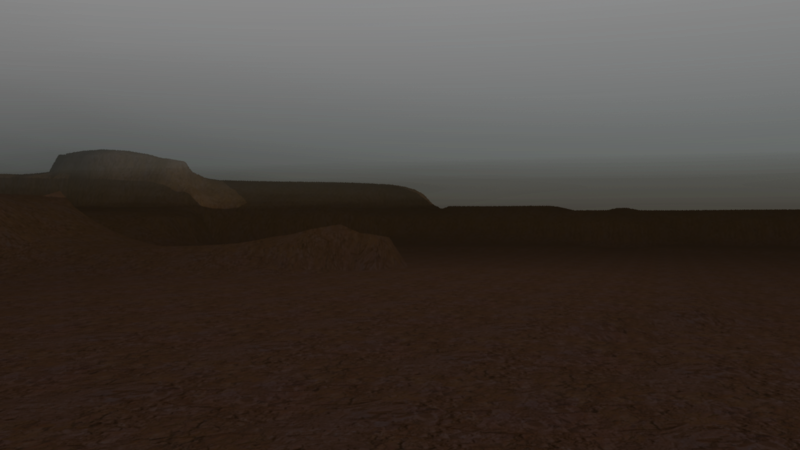 I also try to sort out a light which can be used to achieve different times of day depending on its position. I’m quite happy with the final image, with a higher quality settings turned on the lighting looks a little better and the sky is a nicer colour. 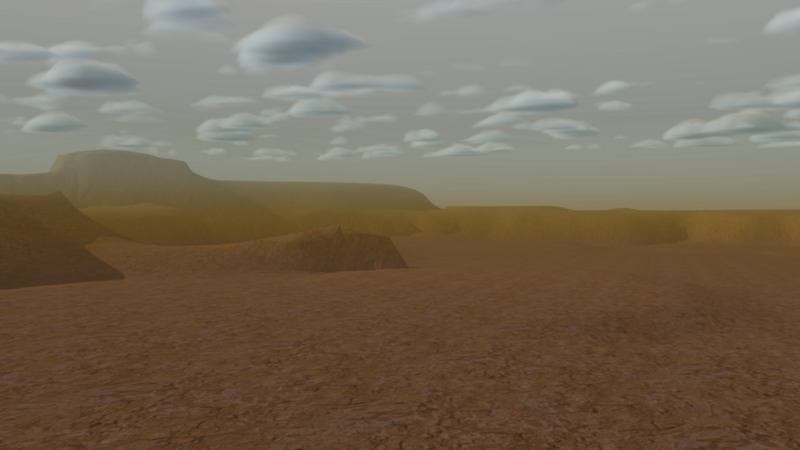 I added in clouds I’d created in an earlier test. I will now attempt to alter the colours to match my earlier concept drawings.